Momentum magazine features a travel section in its print edition. 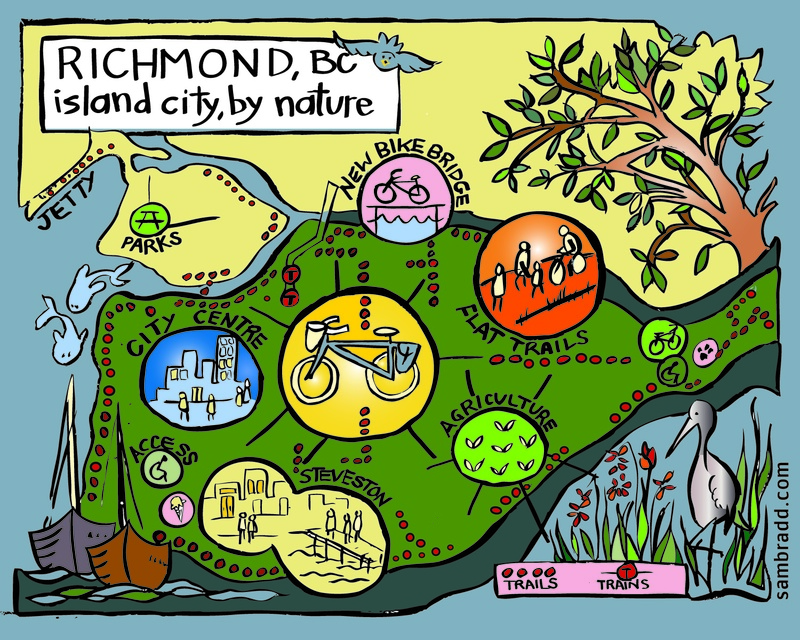 I paired up with one of their writers, Brad Kilburn, to illustrate the bike routes in Richmond, BC. It’s a spectacular place for a ride, as there’s a great network of trails along the sea. It’s also prime agricultural land (under constant threat of development). Throw your bike on the bus and head out for a great day outside. http://momentumplanet.com/articles/riding-in-richmond. Published in Issue 46.